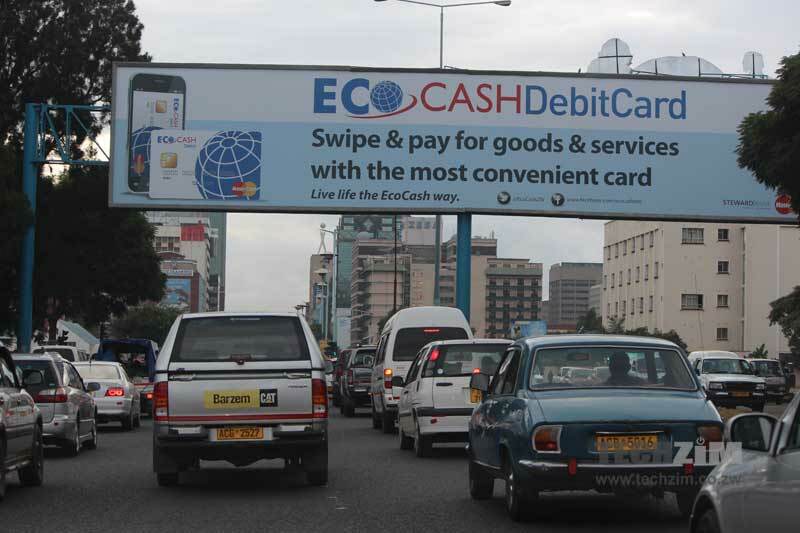 Mobile money service EcoCash has announced a reduction in the monthly transaction limit for its MasterCard Debit card from US$1,100 to US$500. The information was shared with subscribers via SMS. This follows another reduction announced in October this year which reduced limits from US$5,000 to US$1,100. The new limit is effective immediately and just like the adjustment made earlier this year it will be for all transactions – online and offline as well as local and international. While no explanation has been provided as yet, this appears to be EcoCash’s response to the challenges it is facing in clearing international payments because of depleted foreign currency reserves in Nostro accounts. With the country facing a shortage of foreign currency which has also manifested as a cash crisis for regular banking activities, such changes are likely to become the order of the day in the next few months as financial service providers are forced to limit exposure to international payments that require money to leave the country. The EcoCash MasterCard has been a significant bridge between mobile money services and international payments. Any change to its limit will impact a lot of users, especially right now during the holiday season that’s characterised by travelling and a surge in retailing. Yeah – experienced this first hand today, trying to make a withdrawal having drawn 500 the other day. Anyway we can continue to play these limit games, its something that can be dealt with. send yourself a bill for 495USD, pay $3 in fees. pay using the ecocash vcn. money is now loaded on the payoneer card. continue to live live the ecocash way without the ecocash limit. How do you add money to the Payoneer card and how do you connect it to your ecocash.? Do you have the payoneer card? From there you use the Ecocash Virtual Card Number to make the payment. Are you saying that even though the limit is 500, you can still pay from ecocash to payoneer, in batches of 495, upto any amount, even 4950 per month? This is good reporting Techzim Team. Wish you would continue to improve at this rate! Increase your facebook appearance too! Good Luck. Using this service has been a living nightmare , went to one of the econet shops in kwekwe and was misinformed about everything. Was told that if I am a holder of an.ecocash MasterCard I would be able to swipe an amount of up to $5000 only to find out from the headquarters such is not possible as one is allowed to transact a maximum of $500 per month. I.beseech that econet informs it’s staff as far as kwekwe of the New updates to avoid telling clients wrong information becoz it’s annoying to come as far as Zim only to be told you can’t access your money. Don’t get me wrong it’s just this one time I had problems with econet but it almost cost me a lot.